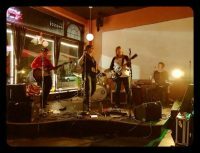 Piefight is a band that is about so much more than just the music. It’s what they represent. 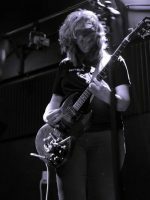 The original band members started out as volunteers and parents of campers at the Portland nonprofit organization Rock ’n’ Roll Camp for Girls (RNRCG). Inspired by the sounds and energy of camp, the original band members formed Piefight in 2011 and released their debut EP, Ripe, in 2013. And that’s the thing, they are showing the way, not just for girls, but for women of all ages. Portland’s bar music culture is somewhat dominated by all-male bands and cliquish hipsters. 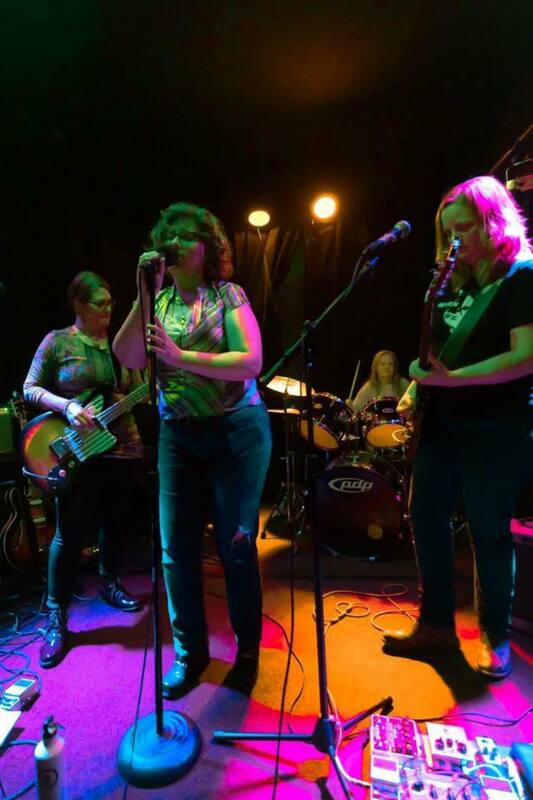 So sometimes people don’t know what to think when they walk into a pub and see a group of five middle-aged women rocking out, unabashedly not trying to be anyone other than who they are. The surprised bar goers are at first amused and puzzled, and then they sink into the groove, stereotypes fade, and they join Piefight in rocking out. 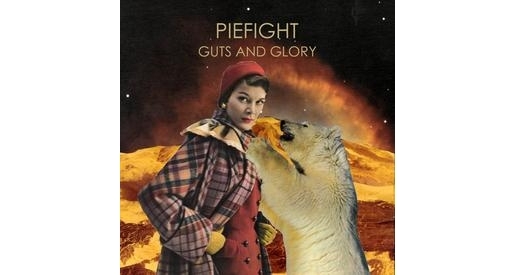 And now for the music- Piefight’s latest release, Guts and Glory, is a six track EP that builds upon their two previous releases but with one major changeup, the addition of drummer Sarah Stratton. (Michelle Panulla joined on lead vocals in early 2014. With her the band solidified their pop noir style on their last EP, This Changes Everything, in 2015.) 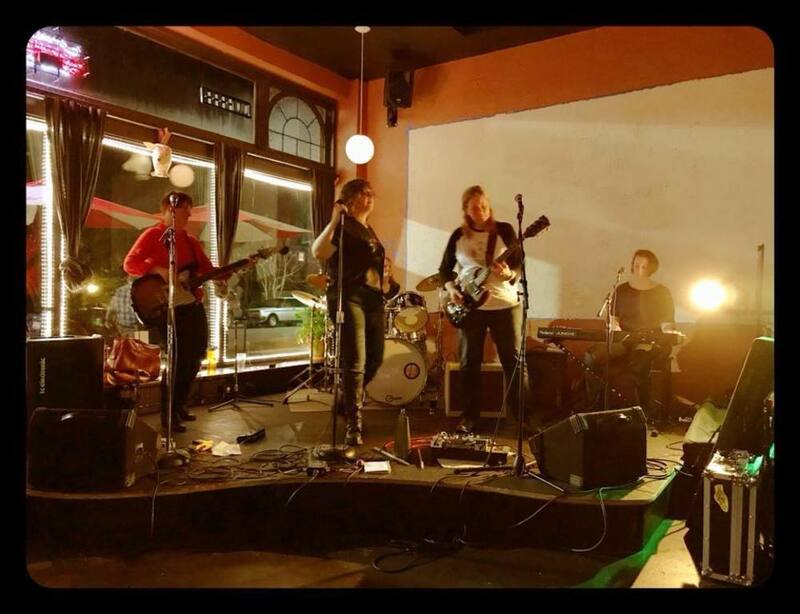 The five women in Piefight all contribute in songwriting, which results in songs taking different and interesting directions. The first track, Conversation, kicks off the album with a delightful vocal riff that morphs into distorted guitars, driving bass, and distinct drum parts that show off Sarah’s ability to find the perfect beat for every groove. In this tune lead singer Michelle Panulla sounds a bit like Natalie Merchant. The album then leans towards pop noir with Beautiful Lies. The third track, Something for Nothing, is a standout track that gallops along with forceful conviction. Half Step starts as a spacious ghostlike tune that could start a séance and then builds to a many layered chorus of voices. Damage goes back to pop noir, but with a jazzy undertone. The final track, Turn it Around, truly showcases the strength of Michelle Panulla’s vocals with an almost Pat Benatar like performance, featuring the lyrics after which the EP is titled, Guts and Glory. The song closes with Susan Yudt delivering a kickass keyboard solo that is the perfect way to the end a great EP, undeniably marking how far this band has come over the years. Check out their new album on Bandcamp. Follow Piefight on fb and catch them next on July 14 at Starday Tavern with Somerset Meadows and on July 25th at the Girls’ Rock Camp lunch show.